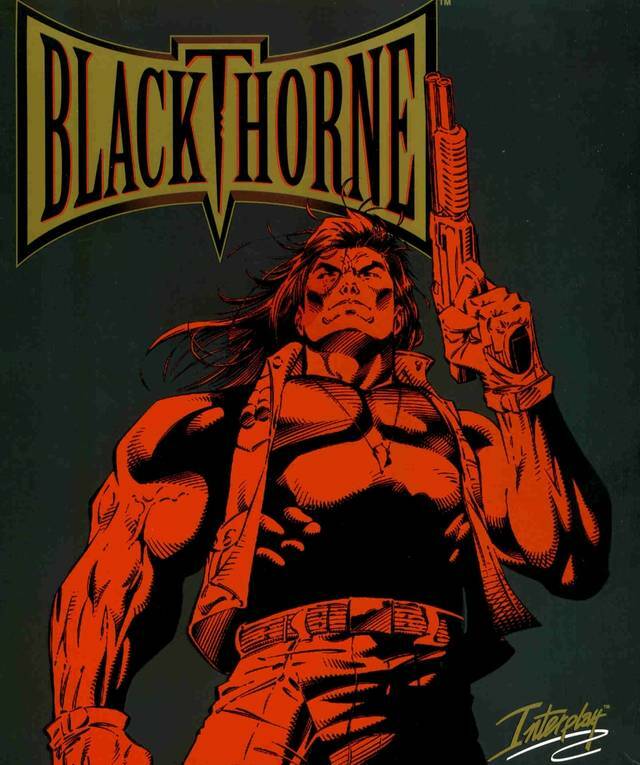 Blackthorne (Blackhawk in some European countries) is a computer and video game, a cinematic platformer, that was developed by Blizzard Entertainment. 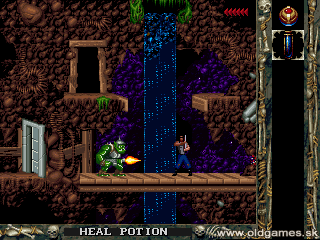 Blackthorne was released for the SNES and MS-DOS in 1994, and with enhanced graphics and a higher color palette for the Sega 32X in 1995 and for Mac OS in 1996. The version for the Game Boy Advance was released in 2003, also with a brighter palette than original versions. Because of GBA's lesser amount of buttons, some actions were set to combinations of buttons. 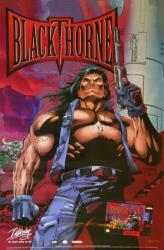 Blackthorne is a great action platformer, and was developed by the now extremly famous Blizzard Entertainment. 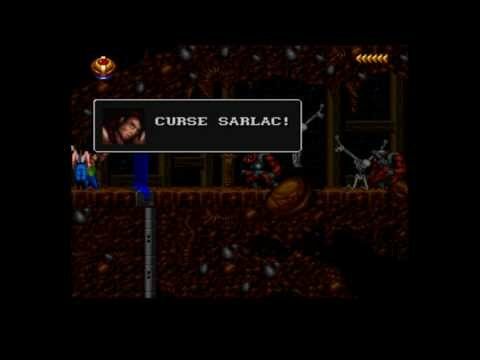 The game has a cool backstory for its shot gun weilding hero that is partially reveiled via the games animated introduction; You're Kyle Vlaros a human looking alien from the planet Tuul, sent to Earth by your father, the king, to escape the bad guy, Sarlac, taking over. After growing up on Earth and becoming a military hero turned mercenary, Kyle, aka, Blackthorne, begins having dreams about his homeworld, and a vision that he must return to Tuul and save his people. 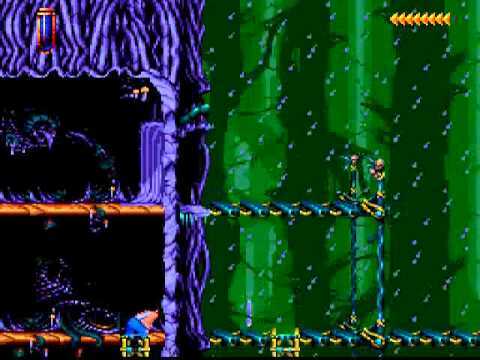 The gameplay in Blackthorne is cool, without a doubt. 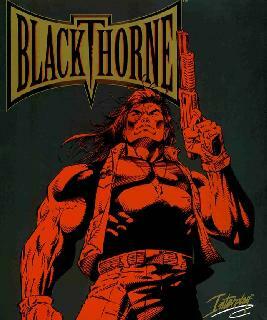 Blackthorne walks with a dangerous slow pace with his shotgun out, with the ability to take cover by pressing up, to avoid enemy gunfire. 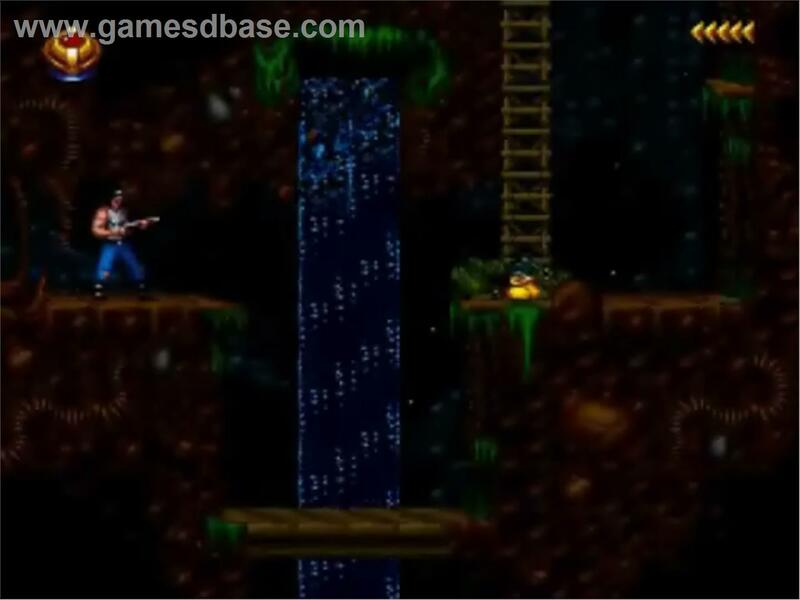 Other weapons are found through out the game, including the hover bomb, useful for removing big metal doors, and big enemies. And the Wasp, a cool idea for a side scroller, it lets you remote control a flying bomb basically, to kill hard to reach bad guys, or to destroy an otherwise unreachable obsticle. Another cool move in Blackthornes arsenal, is his "Behind The Back Without Looking Shot" rarely super useful, but always super cool looking. 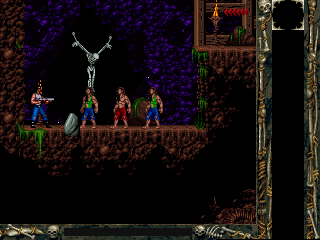 Be careful though, the slaves and prisoners through out the levels can fall victom to your random gunfire. Sometimes causing you to miss out on a helpful hint or potion. 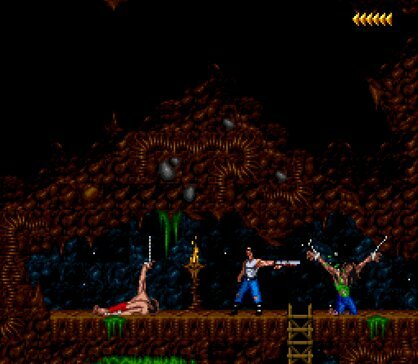 With good size levels to explore, and fun platformer gameplay, with a decent story, Blackthorne is a game every classic gamer should play! Now you can add videos, screenshots, or other images (cover scans, disc scans, etc.) 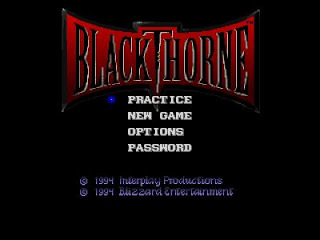 for Blackthorne (1994)(Interplay) to Emuparadise. Do it now!